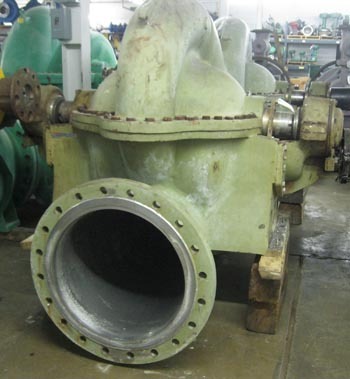 Description: Ahlstrom Z-X60U-2 Split Case Double Suction Fan Pump. 15,000 GPM (76 L/sec); 90 Ft. Head (27.4 M); Rated at 890 RPM. Construction 316 SS Casing and Impeller Assembly.